Screenings in Gävle and in Scotland! Great news for everyone in Gävle and Scotland! Not knowing who you are is a beautiful source of surprises is being screened at various locations these coming days. 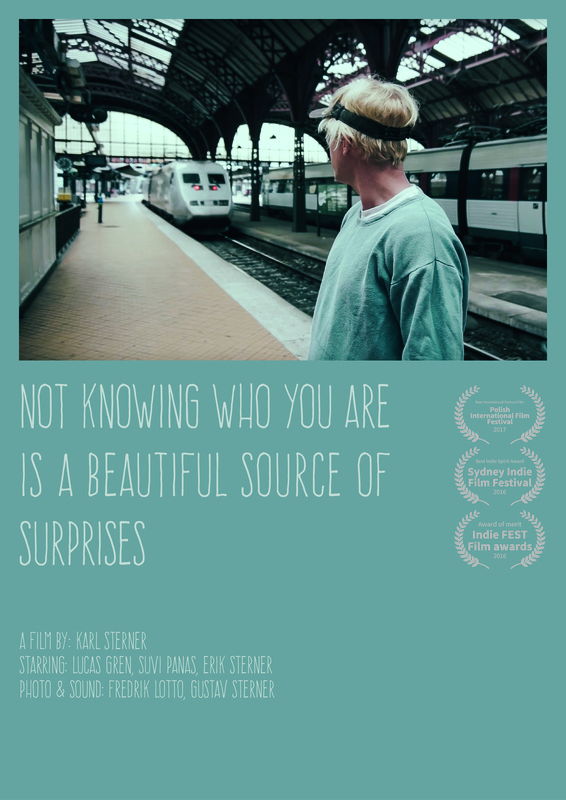 First out on Saturday the 1st of december there is a screening at Bio 7:an in Gävle (Sweden) at 14.30. Then we have the already announced screening in Stockholm on the 2nd of december and finally there is a screening at a festival at the Oban Phoenix Cinema in Scotland on the 4th of december as well as a closed screening in a filmstudio in Säffle (Sweden) also on the 4th. I will visit all these Swedish screenings but unfortunately can’t come to the one in Oban. Previous PostWhat drives youNext PostStream our film!